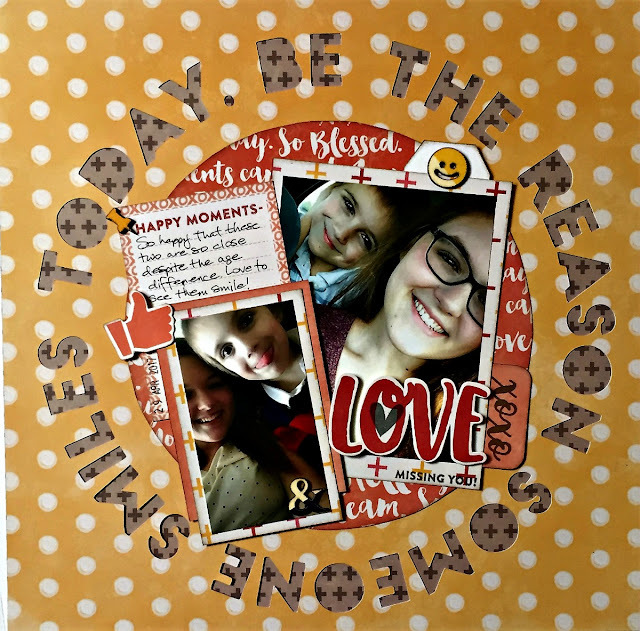 Be the reason someone smiles today is the die cut theme of today’s layout. Featuring my smiling children’s faces and Jillibean Soup papers and stamps. So when you use stamps on a layout it doesn’t need to be an obvious addition, it can be more subtle like today’s layout. I used another Silhouette cut file from Jillibean Soup to make the circular saying and then backed it with the gray patterned paper. Next I cut the circle mat from coral text paper and inked the edges with antique pewter ink. Then I wrote out the journal card from the Bite size Bits paper. Next I added the mats to the photos as shown. 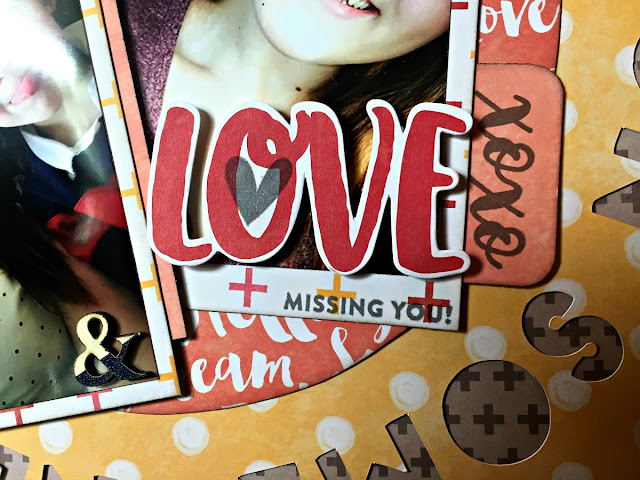 The only stamping is the date, the heart on love die cut, xoxo tab and missing you sentiment. All were stamped in gray ink. Then I added some wood veneers, the white tag and die cuts as you see them. I really like the end result of this one, let me know what you think. May you be blessed with lots of smiles today.